If you love good food, the Taste of Marietta is the perfect event for you! 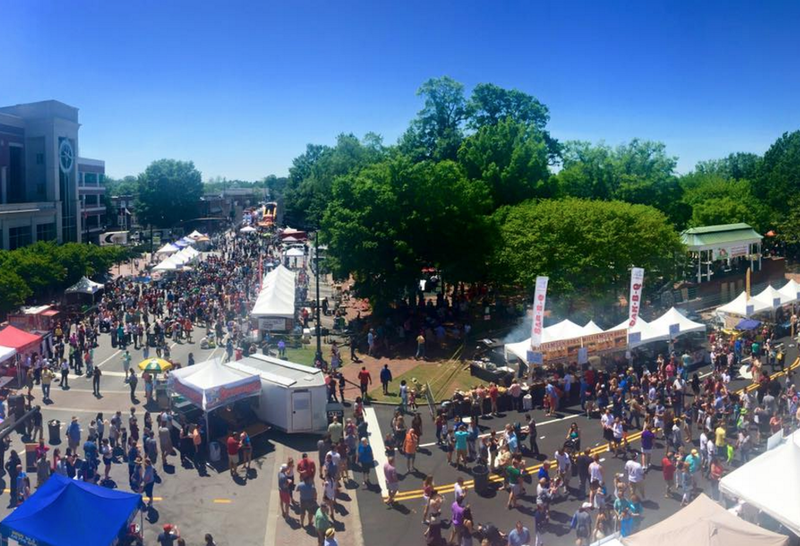 Hosted in the historic downtown square, Taste of Marietta is one of the largest food festivals in Georgia, not to mention it’s one of the best events in Marietta. For decades, this tasty festival has served up samples of the city’s top restaurants and caterers for festival goers to enjoy. Admission to the event is free, and visitors can sample local foods from BBQ to doughnuts, for just $1 to $5 each. Beer and wine are also available for sale. Along with mouthwatering foods and tasty treats, the festival features live music, as well as a kids area with moonwalks and crafts. The music, centered in Glover Park, can be heard throughout the event. Make sure you bring enough cash for buying samples and drinks! But don’t worry, if you run out, there will be an ATM available. After you’ve had plenty of food, why not enjoy one of the culinary demonstrations at the cooking stage, or head to some of the awesome shops around the square? Parking is available in surrounding decks and lots. Information about particular food vendors and parking is usually made available on the Taste of Marietta website within a week of the event date.